I don’t know about you, but we made a change in our eating habits at the beginning of the year. Both the hubs and I have been very conscience of what we eat and drink and have both made a lifestyle change. One of the first changes is to make sure we’re having breakfast. And by breakfast, I mean a morning smoothie. I prepare all the ingredients the night before, then its just into the blender in the morning as we’re making the kids breakfast and bam, we’ve started the day off right. 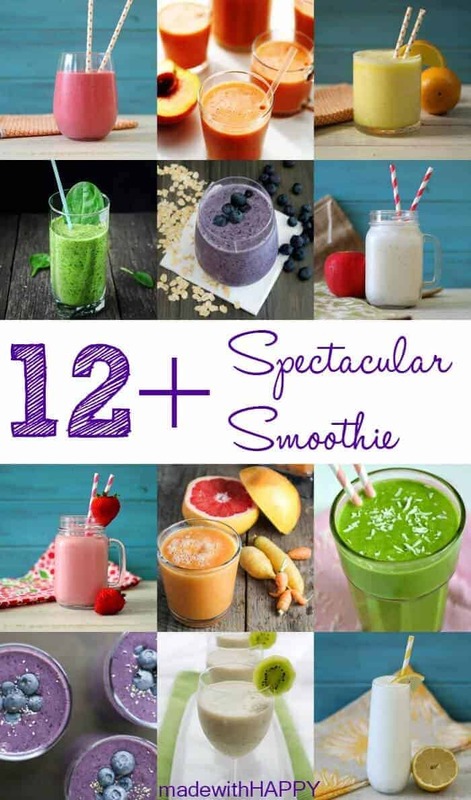 While we’re ironing out our morning smoothie ingredients (and promise to share ingredients soon), I thought I’d share with you some spectacular smoothies I’ve found.